Tired of the admin headaches that go with cutting costs? We get it. Having your accountant take care of your books is not for everyone. Some clients love their bookkeepers and long may that continue! But others find they create too much extra work. Better Books Plus is our answer to anyone seeking the better solution. What’s Included in Better Books Plus? 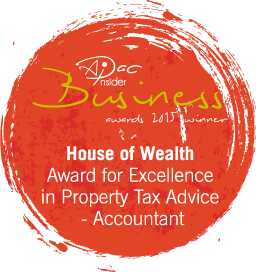 This part is vital if you want to take full advantage of tax reduction opportunities. It’s only possible to do this properly if your accounts are bang up to date. Spend less time on petty bookkeeping issues and more on growing your business! Better books plus is ideal for the growing small business, or one that’s undergoing big changes of some kind. All sorts of new accounting issues crop up at such times of flux. And without constant, timely supervision from you and your accountant, there’s lots of room for bookkeeping mistakes. Bookkeeping mistakes take time to fix. They can mess up your tax and cash flow too! When you just don’t have the time to supervise and answer questions, Better Books Plus takes away the problem. Your accountant takes care of everything for you! Put House of Wealth to work on growing your wealth today!